An easy six-minute stroll from Mondrian Park Avenue will lead you to one of the most thrillingly delicious neighborhoods in Manhattan: Koreatown. 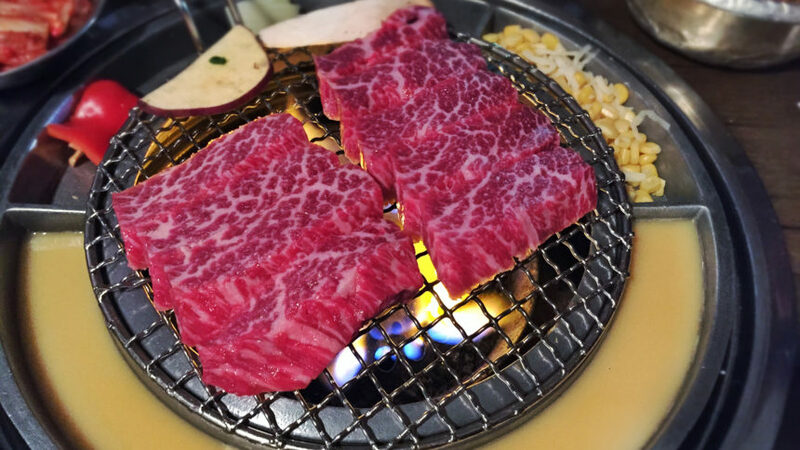 Whether you’re seeking traditional Korean barbecue or something a bit more refined, we’ve got you covered with these five spots you can’t miss. As the world’s tallest Korean restaurant, Gaonnuri – in Korean, it means “center of the world” – specializes in authentic cuisine with an emphasis on top-notch ingredients and artful presentation. And based on the breathtaking 360-degree views, minimal décor, and Chef Tae Goo Kang’s background – he cut his culinary chops at NOBU 57 and The Modern – expect to shell out a bit more for dining here. Gaonnuri’s menu reads like a canon of refined classics with its mung bean pancakes, marinated raw crab, and short rib stew. Unlike most of its neighbors, Gaonnuri also boasts a lively bar scene, making it a terrific spot for a few well-crafted cocktails and savory snacks, including pan-fried dumplings, glass noodles, and ribeye tartare. Next to kimchi, barbecue is arguably the most renowned culinary Korean export. 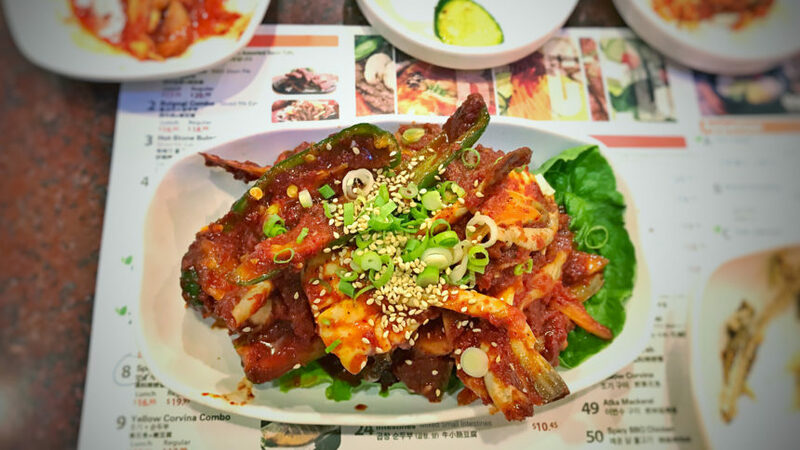 But this offshoot of the wildly popular chain started in Seoul by wrestler-turned-comedian Kang Ho Dong puts contemporary new spins on the dish. While you’ll still get to engage in the fun activity of grilling proteins at your own table – which is tricked out with an adjustable vent so you don’t leave with a telltale smell of smoke – you’ll get to experiment with far more (think beef tongue, brisket, and pork skin) than the standard beef short rib and pork belly. In addition, your grill is surrounded by a circular tray filled with peppers, onions, cheese-laced corn, and raw egg – all of which make mouthwatering accompaniments to the barbecue. 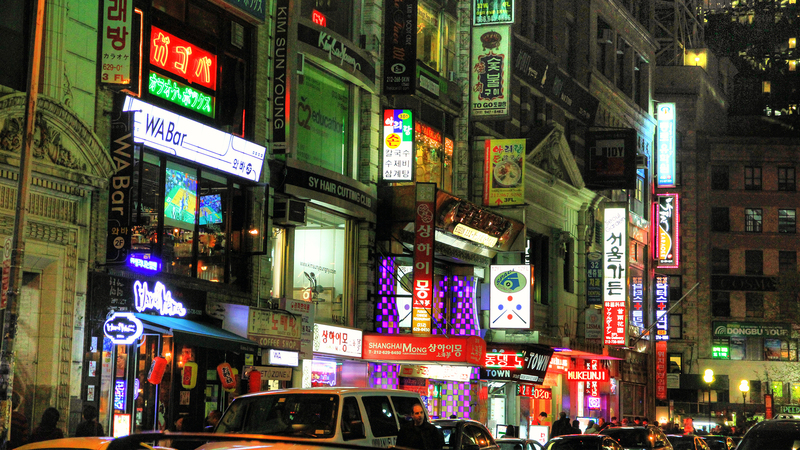 Late night drinking, eating, and carousing is serious business in Korea. To take care of all the above, beeline to Pocha 32. The ceilings are whimsically draped in emerald green fishnet to evoke the feeling of lingering in one of Seoul’s many pochas, outdoor tents doling out affordable alcohol and bites. Everything here is generously portioned and meant for sharing. The most famed dish, though, is budae jjigae, a huge, simmering mishmash of spicy broth, noodles, hot dogs, Spam, and mozzarella cheese. Wash it all down with an order of the house punch, a refreshing, blend of watermelon, soju, and sprite presented in a hollowed-out watermelon. Since opening in Los Angeles in 1996, this vegetarian-friendly spot founded by Hee Sook Lee has branched out to 13 locations nationwide. As the name implies, the specialty of the house is soon (extra silky and uncurdled) tofu. While the appetizers are no slouch – the crispy garlic tofu bites enrobed in a sweet-and-sour sauce are especially solid – it’s the famed, bubbling soon tofu stew you can’t miss. The vegetarian version brims with squash, mushroom, broccoli, and of course, tofu, but there’s other meat-centric options (like ham and sausage and assorted seafood) if you’re seeking something on the heartier side. Open from early morning to late night, this ever-bustling, casual nook is ideal for when you don’t have time for a proper sit-down meal and need to grab something quick without breaking the bank – or sacrificing quality. Simply help yourself to what you want and pay at the counter. The buffet is plentifully stocked with a huge variety of crowd-pleasing Korean favorites, both hot and cold. On top of that, there are containers of soups-to-go and a refrigerated section filled with prepackaged (yet thoroughly delicious) banchan, Korean-style sushi rolls, and salads.